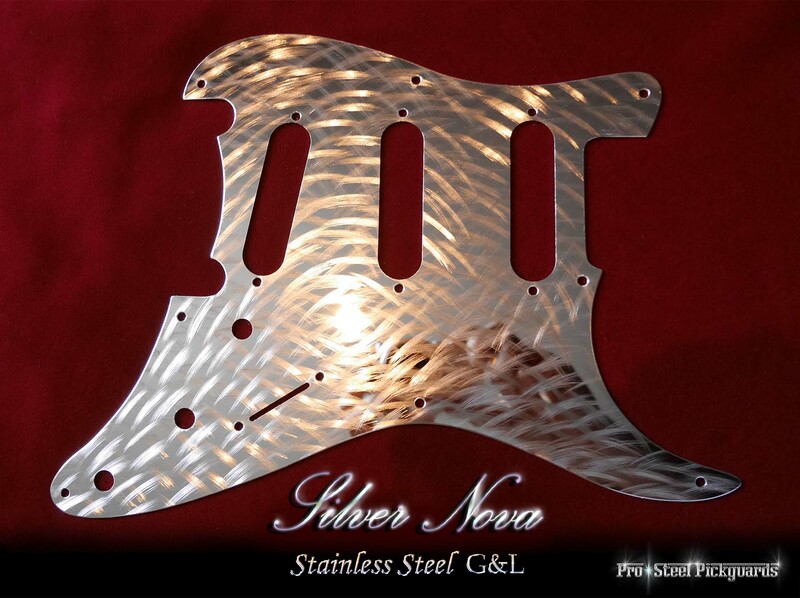 Silver Nova brings your G&L into the light like no other! The Silver Nova starts with a full mirror surface, the Nova pattern is embedded smoothly into the mirror surface, using alternative triple direction. This method injects an ultra dynamic quality to the excellent interactive light reflects that stainless steel is best at. Beams a SilverNova from any angle. * Silver Nova is also available for other guards listed below. Send us an Email with your guard type. * See close up surface view of Silver Nova guard.